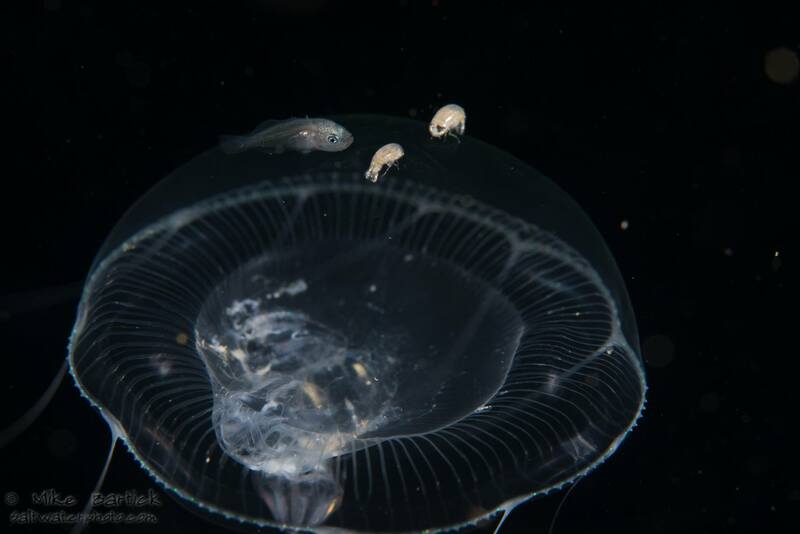 Hyperiid amphipod commensalism with Jellyfish | Marine Life Society of South Australia Inc. 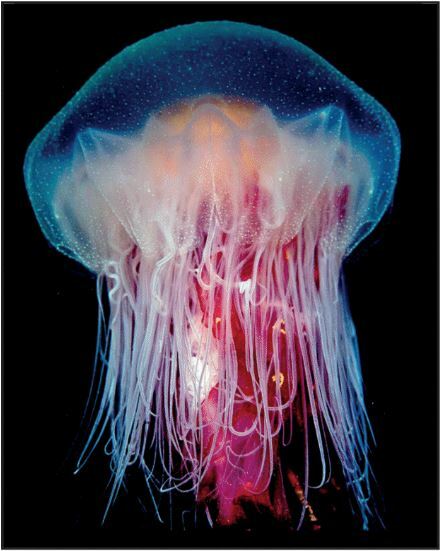 The cover for the March 2019 issue of Dive Log magazine featured a photo of a nautilus perched on top of a jellyfish (or sea jelly). It was taken by Mike Bartick (ending with a ‘k’) from the USA. Details can be found at https://www.divelog.net.au/dlonline.html . The caption on page 4 explained that Mike had won the “Best Five Images” award in the annual World ShootOut 2018 at the Boot Dusseldorf show in Germany. Details on page 8, reported that Mike’s series of five images won the most valuable prize of a 3-week diving vacation worth $20,000. The 3-week diving vacation award prize was in Papua New Guinea, including domestic flights. 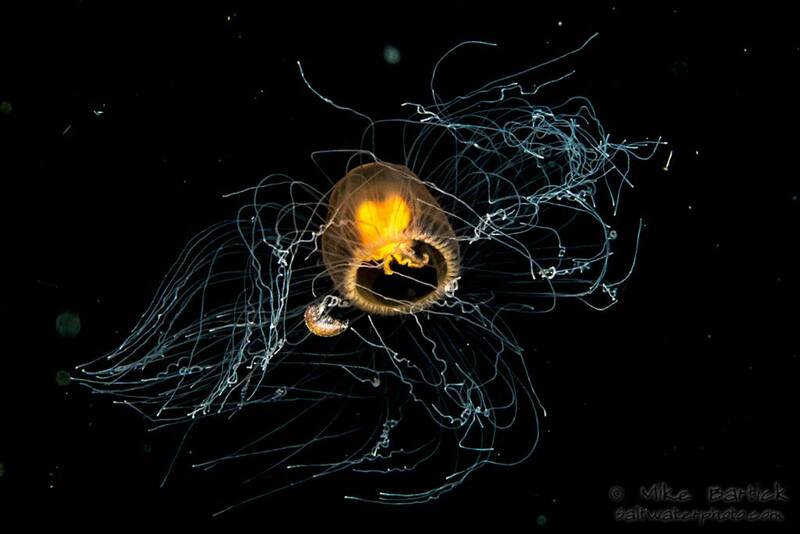 Mike’s Best Five Images were described as “stunning and creative black water images”. The World ShootOut hosted 641 photographers from around the world. According to the Dive Log report, it is likely that the 2019 ShootOut will include a new “Black Water” category (following Mike’s success in 2018). Mike is the person who I had the pleasure of hosting for two dives at Rapid Bay jetty in 2013. He wanted to photograph leafy seadragons there, as one does. We were both fortunate in that we had three leafies swimming together at the time. 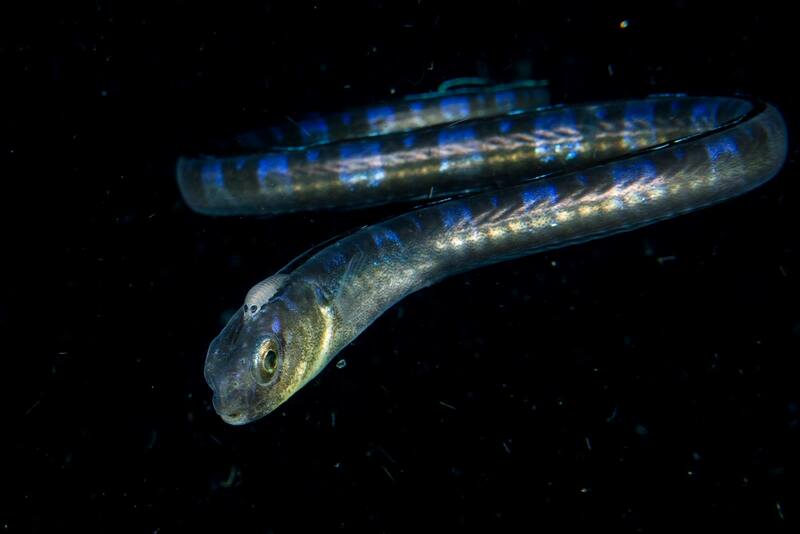 Mike’s photos of the three seadragons were stunning. 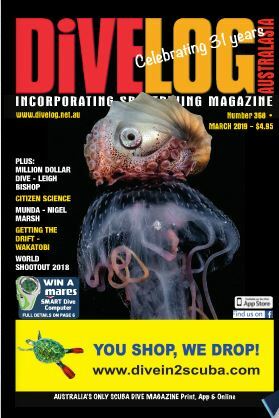 I was happily surprised to see the nautilus and jellyfish image on the front cover of the March 2019 issue of Dive Log and read that it was one of Mike’s award-winning series of images. Many of my diving friends were impressed by the front cover photo showing the nautilus and jellyfish together. What really capped it off for me, however, was that there was an amphipod on the jellyfish, right in the middle of the cover shot. I thought that this was quite amazing, and the amphipod had me quite intrigued. I just happened to the magazine to our Patron, Wolfgang Zeidler at our March meeting. He picked up on the amphipod immediately and pointed it out to me. We were discussing something else at the time, but I said that I was very interested to find out more about the amphipod. He told me that the isopod was a Hyperiid amphipod which are commensal with jellyfish, adding that it is his area of work/expertise for the SA Museum. Wolfgang told me that he had seen another amphipod on a jellyfish photo in a copy of Dive Log that I had given to him earlier on. It turned out to be one on page 14 of the October 2018 issue of Dive Log. It was taken in Victoria by Dave Baxter. This ‘snipping’ of Dave’s photo (and Mike’s Dive Log cover shot above) do not do justice to the quality of his image at all. It was interesting to hear from Wolfgang that Hyperiid amphipods are commensal with jellyfish. My web browser points to many web pages discussing Wolfgang’s work with Hyperiid amphipods. 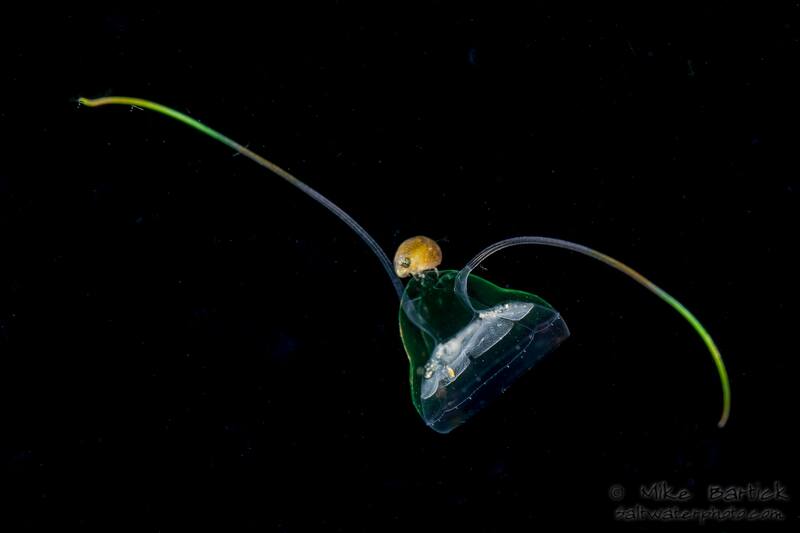 The paper titled A survival pack for escaping predation in the open ocean: amphipod – pteropod associations in the Southern Ocean, for example, was co-authored by Wolfgang. The web page found at https://www.researchgate.net/publication/226387403_Associations_between_gelatinous_zooplankton_and_hyperiid_amphipods_Crustacea_Peracarida_in_the_Gulf_of_California describes Hyperiid amphipods as “pelagic crustaceans that live associated with gelatinous zooplankton including medusae, ctenophores, siphonophores, and salps”. Thanks for this. Good photos. Just need the specimens to confirm the identification and then we may have a new record of association. The creature on the head of the snake blenny is an isopod, similar to the tongue bitters found in other fish, and not an amphipod. Although similar in some respects they belong to completely different groups. Suborder Amphipoda and suborder Isopoda. The second photo is unclear but the amphipod looks like it might be a gammarid belonging to the suborder Gammaridea. In which case it was most likely captured by the jellyfish as prey. Gammarids are mostly benthic, like the sandhoppers found under seaweed. Thanks Wolfgang, we will review the article and make the necessary changes.